The power of teamwork. Building a group of "likeminded" individuals has been regarded by many as the most powerful aspects of being human. Napoleon Hill, the author of "Think and Grow Rich" called the human brain "a broadcasting and receiving station for thought." Hill made this statement nearly 100 years ago. He saw the power of teamwork . 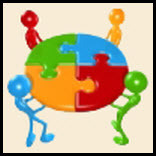 . . building a "working alliance" between the team chair and team members. The team forged this alliance through effective use of open and honest discussion; on the docket, people's problems. Each person on the team simply contributing his or her thoughts to the "knowledge pool" helps solve problems, draw connections, and develop the group's "common knowledge." Each individual, speaking from their own experience and knowledge based, adds value and insight to all the members of the team or group. This makes teamwork so powerful. Hill Called It the "Master Mind"
He said it brought clarity where none existed before. . . this is team building at it's most effective and ironically it's most rudimentary. "Organized effort" writes Hill, "is produced through the coordination of two or more people, who work toward a definite end, in a spirit of harmony." Organized effort provides insight on many levels. Most of all it points out why most teams fail. . . they don't work in harmony. 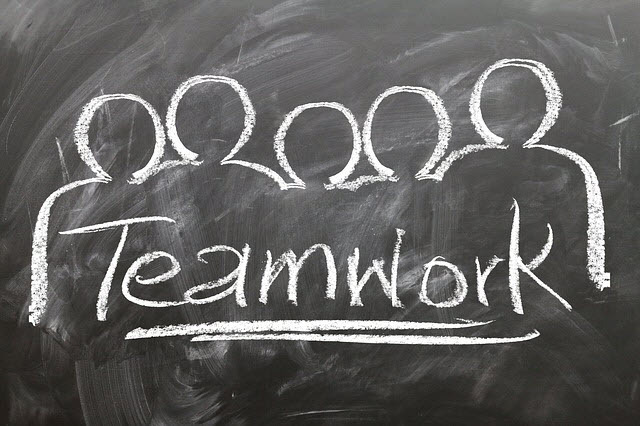 For Hill, teamwork, building a group of people "who work toward a definite end, in a spirit of harmony" describes the quintessential definition of team building. The Power of Teamwork: Building a "Third Mind"
Three elements essential to convert knowledge into power, but ultimately the missing element of the "power of teamwork" is other people. A "cooperative alliance," as Hill describes it, "No two minds can come together, without, thereby, creating a third, invisible, intangible force which may be likened to a third mind." Teamwork building multiplies your brainpower exponentially. But to really harness the potential of the group, you must associate with people who reflect the values and principles you want to emulate in the group. People take on the nature and the habits and the power of thought of those whom they associate in a spirit of harmony." For good and bad, people used the power of the "third mind" principle to influence millions of people's lives. Leaders united, divided, killed, and persecuted using this powerful concept of uniting for a specific purpose. Look at the last century. . . how many unbelievable things happened at the result of someone using the "third mind" principle. Of course many of the events you think about are atrocities. The ability to leverage the group's teamwork, building a "Master Mind" of associates is the ultimate goal of any business owner or manager. If building a core "Master Mind" group for your business success, then essentially you must find the right people to join your team. Look for these important elements others, when you find the right people, you'll know it. Take these steps and teamwork building becomes a pleasure rather than a chore in your business.